We all want to look good, right? Having lean muscles is a big plus to your look. You need to look good in front of others, how to do it? Then take good care of yourself. Maybe you have good-styled hair or stylish clothes, but how about your body? You want to impress someone but you are too conscious of your body figure. Do not rush to go to the gym. Yes, it can help. But a killer body is not built on gym alone. 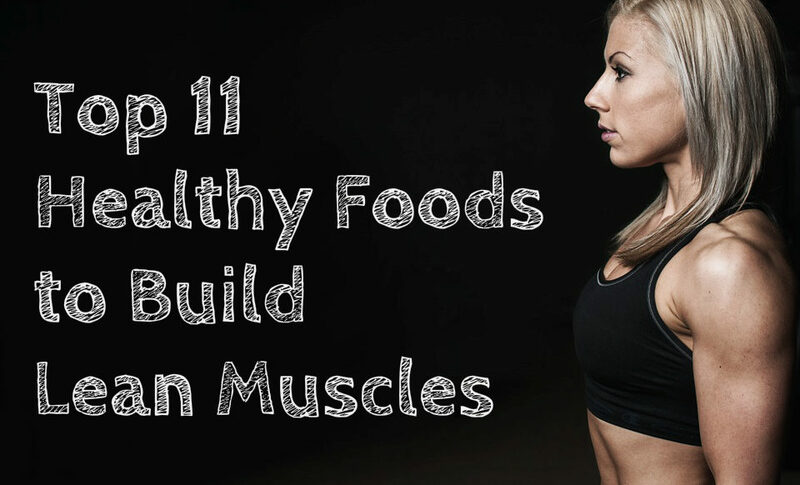 You must know what are the best foods to eat to achieve healthy and lean muscles. Salmon contains nutrients that can really help you to build lean muscles. It contains high-quality protein and omega 3 fats like EPA and DHA. 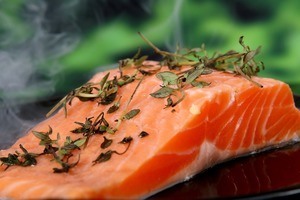 Salmon contains nutrients such as omega 3 that improves your heart health. Some people don’t eat fish, so you can take fish oil instead. Eggs are not a difficult food to eat. Almost all of the people eat eggs – not only for health benefits but as a usual food to eat every day. Not only that, eggs is one of the common food that helps build muscles. The study shows that cholesterol found in egg yolks serve as steroid hormones. It’s a feast! Yes, building muscles can be an advantage if you are a good eater. You can eat your favorite food – we all know a lot of people prefer eating pork. Some parts can be very fatty but the tenderloin is the best part for your initial purpose. Tenderloin part can be very lean but it still contains a pack of protein. Grill it now! Yes! You read it right! Turkey is one of the best to eat. But choose the white meat only. White meat from turkey can be the best option to mix from your veggies, instead of chicken. If you love to eat burgers or meatballs, use ground turkey instead of fatty beef. Before going to the gym, eat orange first. It can help boost your muscle growth, strength, and endurance. It contains Vitamin C also to fight illnesses, it also an anti-oxidant and magnesium for low blood pressure. Quit drinking processed orange juices, instead drink a fresh one. Make sure it’s organic. Organic milk contains 70% of omega 3 fatty acids rather than conventional milk. It is also rich in amino acid glutamine. You will like it as you continue to drink it. 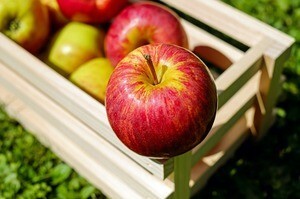 Apples contain polyphenols that help increase muscle strength and helps fatigue of muscles. Because of this, it will allow you to train harder and longer. It is also a great fat burning fruit. Spinach is a good source of glutamine, the amino acid that is important for lean muscles growth. It is said that tuna contains a high amount of B Vitamins, Vitamin A, Vitamin B12, niacin, and Vitamin B6. These nutrients and vitamins are very essential for energy, exercise performance, and optimal health. Aside from this, it includes omega 3 fatty acids that support muscle strength. Beans are very cheap and widely available. It contains high fiber, low fat, and rich in lean muscle building protein. Sure, beans require a little bit of culinary creativity, but that makes them even easier to include in your diet. And did we mention they’re cheap? Yes, they are cheap. Since brown rice is slow-digesting whole grain that provides you longer-lasting energy for the whole day, and for you to be ready for workouts. Brown rice also can help boost your growth hormone levels, which are critical for encouraging lean muscles growth, fat loss and strength gains. 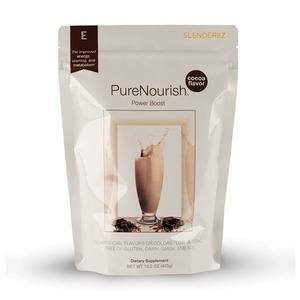 PureNourish Power Boost is a supplement that supports weight loss, healthy blood sugar, and lean muscle. It this via its component of L-glutamine which is an amino acid found in the muscles. The supplement will give your body a wide set of benefits and add an excellent flavor as well. Power Boost aids in the improvement of protein metabolism, stamina recovery, and branched-chain amino acids. The components of this supplement aids in muscle growth and a healthy weight loss as well. 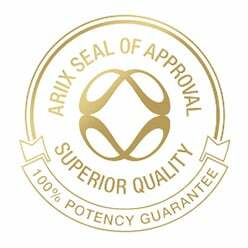 To learn more information about how to build lean muscle and PureNourish Power Boost, visit AriixProducts.com. Benefits of Weight Loss – What Are They?